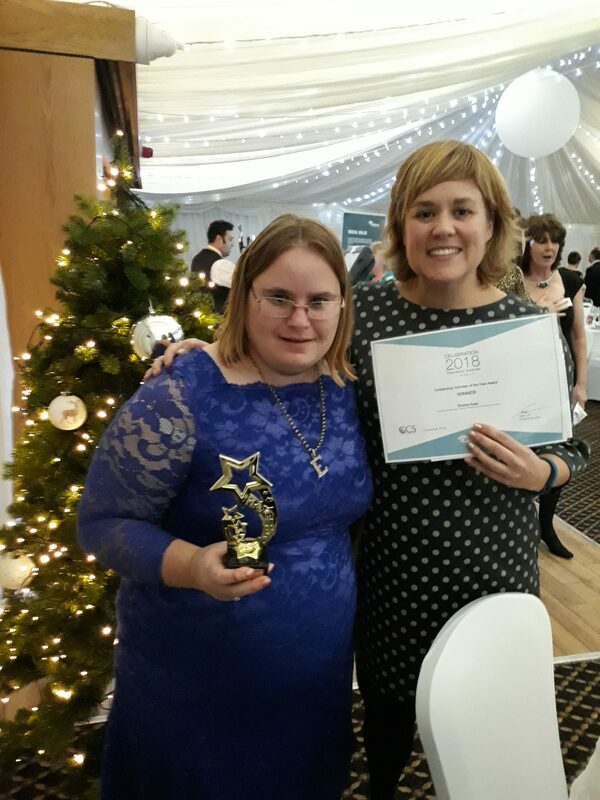 We’re delighted to announce the winners of our third annual Resident Celebration Event held last week (5 December)! The celebrations saw a huge turnout with residents, Radian staff and partners from Now Heritage, Bordon Junior School and Wiltshire Council coming together to celebrate every nominee’s achievements and give thanks to residents who have made it their mission to improve the lives of others and their communities. At a time when many social and environmental issues such as climate change, food poverty and homelessness are reported as being at an all-time high*, these awards highlight how everyone can do something to tackle national, even global, issues at a local level. 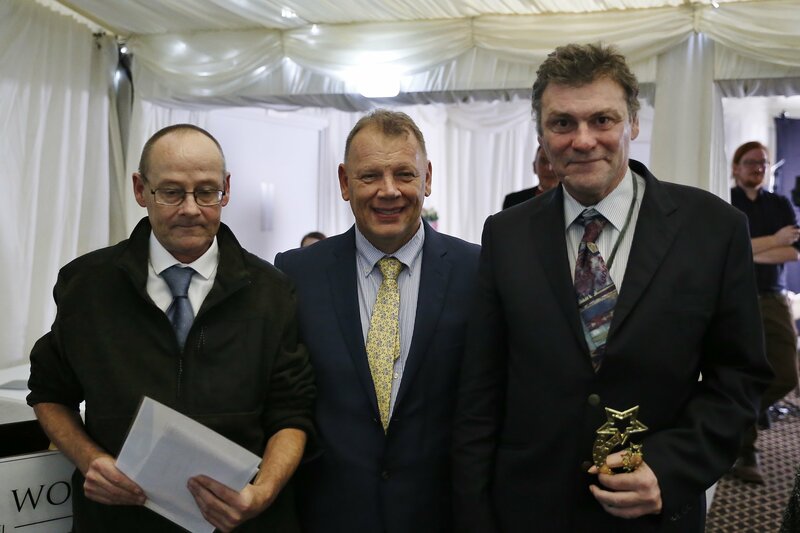 Guy Stewart and Simon Fry, from Southampton, took home the new award for their commitment to establishing the successful Community Allotment project in Mansbridge, Southampton. This project aimed to unite the community and encourage both a love for growing and a respect for the environment. They took an overgrown, underused space and spent the summer clearing rubbish and weeds, growing in its place an abundance of produce. The effect on the health and wellbeing of the community and the local environment has been huge, and further projects are now in the pipeline such as the MANSbridge Community Shed project. The Young Volunteer of the Year Award went to Nathan Moger, Southampton, for his work to clear the River Itchen of rubbish and debris as well as his continued support for events such as the Mansbridge Clean Sweep and work on the allotments. 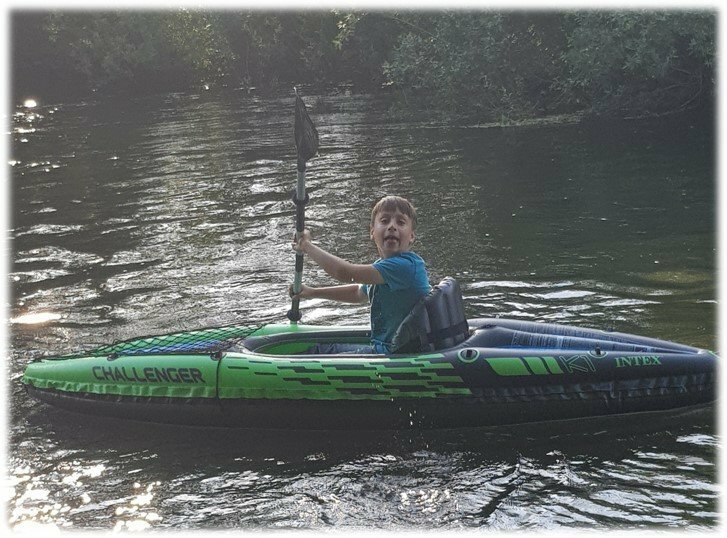 Nathan has gone above and beyond, using his Kayak to not only collect rubbish floating on the water but even to chase down a bottle of shower gel thrown into the river, managing to pull it out of the water before its contents spilt and polluted the environment. Fly tipping, litter, and poor rubbish management are big concerns in the Mansbridge area, having an impact on the environment and wildlife as well as the wider community. This is why Nathan’s contributions are so outstanding; he has acted as an inspirational role model, encouraging other’s young and old to care for and take pride in their environment. 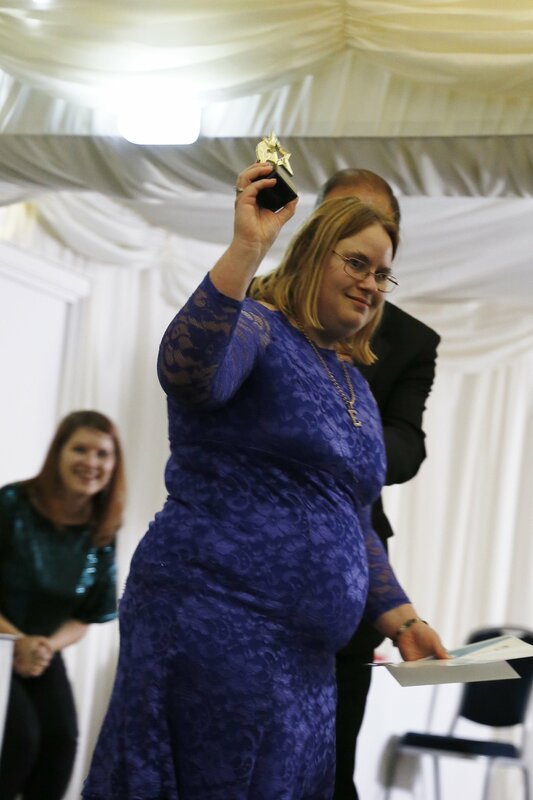 Carys Beard, Southampton, also won Young Volunteer of the Year. Carys, is a selfless twelve-year-old who has been a much-welcomed helper at the Round About Café, Mansbridge, for five years. Carys supports the staff and volunteers with day to day tasks from cleaning and sweeping, to sorting through Fareshare items that are distributed to local families. More recently to celebrate the cafes five-year anniversary, Carys’ helped arrange a table top raffle and tombola, raising over £130 towards an older persons party. Carys’ enthusiasm and drive to volunteer has been an inspiration to other young people. 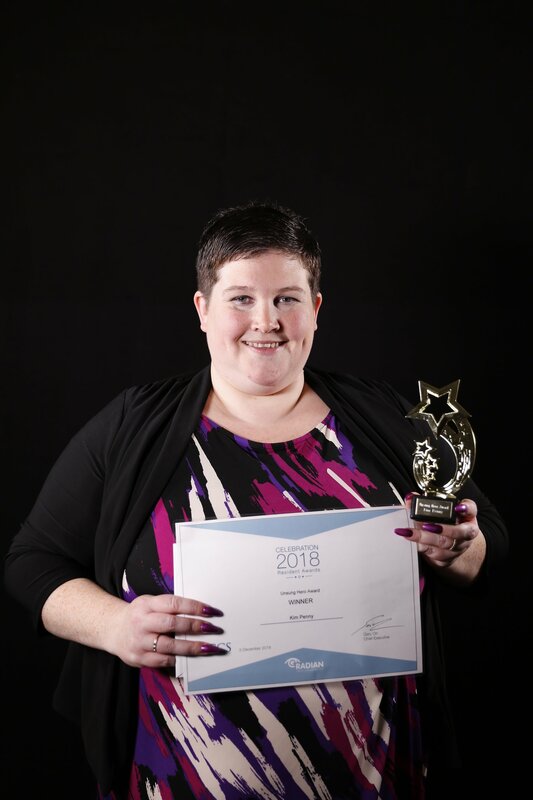 Kim Penny won this award for her commitment to the management and organisation of a youth club for young people with additional needs. Kim’s budget is small and the children she works with often display challenging behaviour, which can sometimes lead to frustrating situations. Despite this, Kim, from Amesbury, has never been negative and never given up, running activities and events that engage young people with something meaningful. 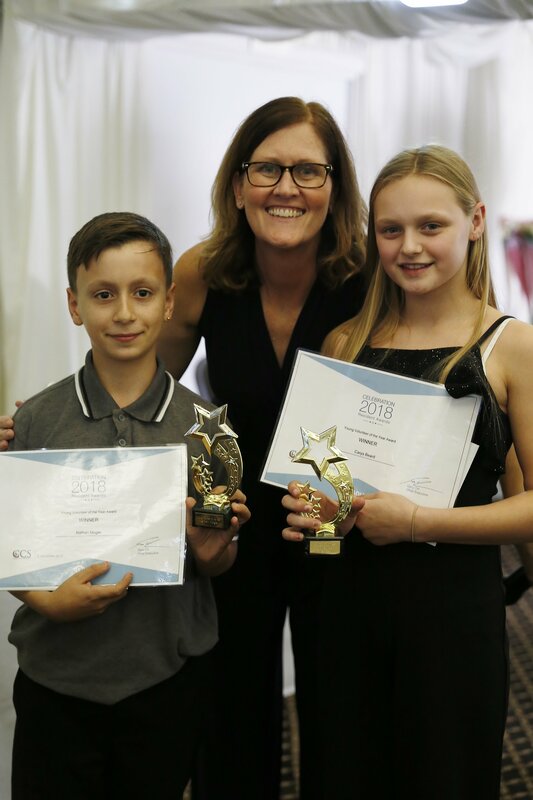 Her positive attitude has had a significant impact on the lives of these children; she has increased their self-esteem and given them a chance of success, encouraging them to grow and develop as people throughout their time at the club. 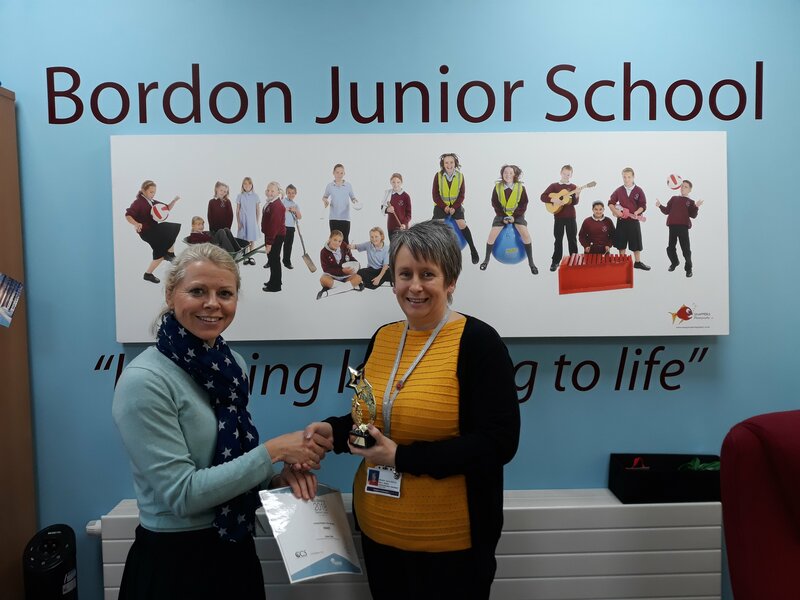 Louise Gubby, Bordon, won the award for her work tackling food poverty; she helps with an after-school cooking club and also spent her summer helping to run six children’s Food Academy sessions at Café 1759 every Monday. 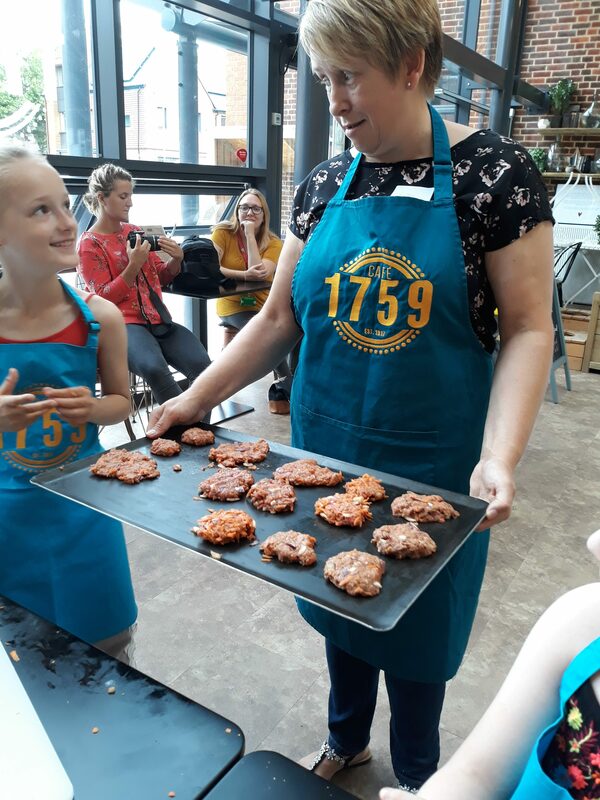 The academy taught children to follow a healthy recipe, allowing them to produce a meal to eat on the day and also take extras home to their families. This successfully built children’s confidence in the kitchen while improving their knowledge of healthy eating and portion sizes as well as helping to combat holiday hunger. 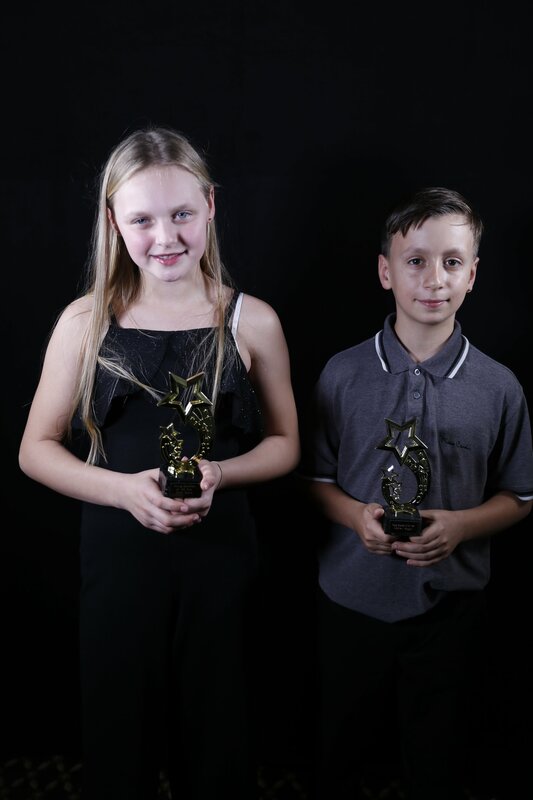 Louise said: “It’s amazing to have won! It was a joint effort with my colleague Debbie Wren. I loved helping the children learn about healthy foods and getting them cooking. It was a very enjoyable course. Hopefully there will be more”. They also actively tackle concerns such as parking, road surface improvements, and speeding, by engaging with local agencies such as the local council and Police. 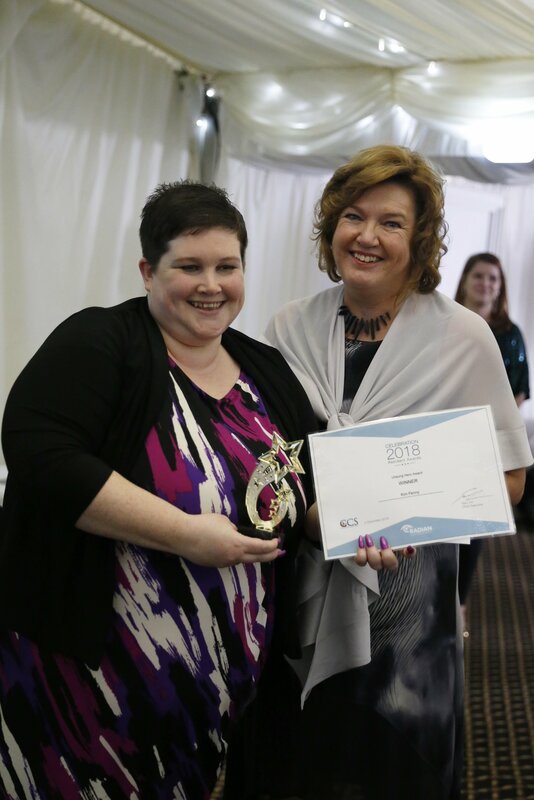 Emma Keet, from Bordon, won the award for her hard work and never-ending enthusiasm when volunteering at Café 1759 two days a week. Emma has Down’s Syndrome but has never let this stand in her way. She uses her own initiative to find new jobs to do and always carries out any task to the highest possible standard. She is unfailingly reliable, always helpful and prepared to help with the less enjoyable jobs such as pot washing or staying back late to help others in the team. Jeanette Nunn’s commitment to not just her own estate but others in her local town of Petersfield won her the award. 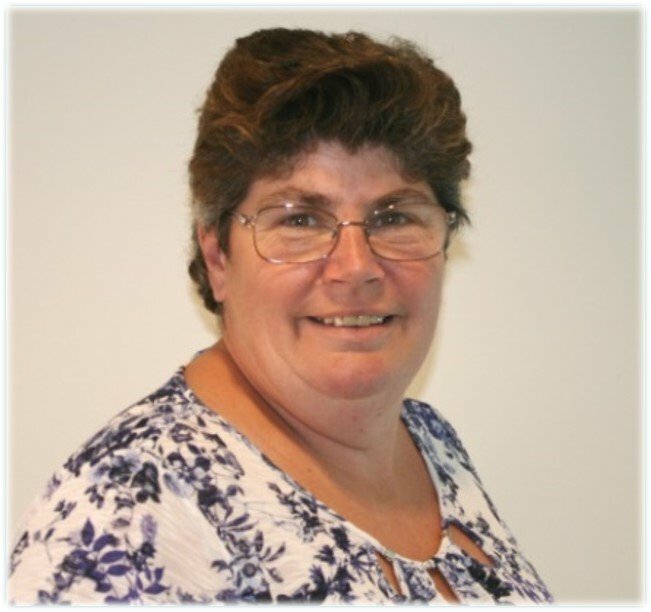 During her time as chair for the Cranford Estate Resident’s Association, Jeanette has delivered newsletters to over 500 properties on numerous occasions, organised community events, quiz nights, day trips and children’s activities as well as always being there for anyone with a problem. But her work has not stopped there; she has helped older residents in another estate to get their papers, help them with their gardens and visit those in hospital most mornings. Not only this, but is also a Radian Community Champion, working to identify issues such as overgrown hedges and blocked pathways while still finding time for her job at a local school. 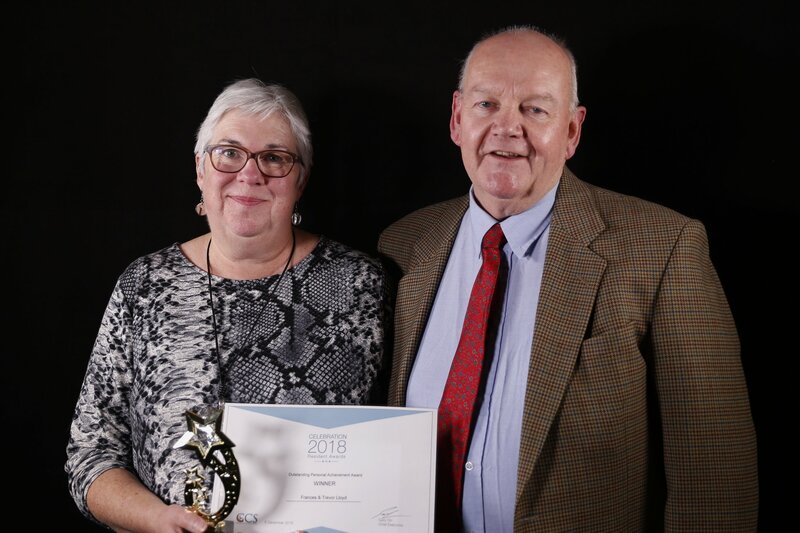 Trevor and Frances won the award for their unfailingly positive attitude to improving the life of their youngest son, Tom who was born with a cystic fibrosis alongside severe autism and complex mental health issues. Despite some challenging times, Mr and Mrs Lloyd, from Andover, have fought to care for their son at home whilst working hard to get places for him in specialist schools where staff are able to manage all of Tom’s needs. This came at a cost, with the financial and emotional strain taking a toll on the family. But they have never given up, never been negative about their situation and have finally reached an outcome which is the best it could possibly be. Their positive attitude, even in the darkest of times is an inspiration to anyone facing adversity. “Thank you for inviting Now Heritage to last night’s wonderful Radian Awards event. Having worked with other housing associations, we really are impressed by Radian’s genuine commitment to the communities and people they serve. Rather fittingly, the awards night also fell on International Volunteers Day (IVD), a day that celebrates the power and potential of volunteerism and its ability to strengthen local ownership and community resilience in the face of problems such as economic, political and environmental stresses. 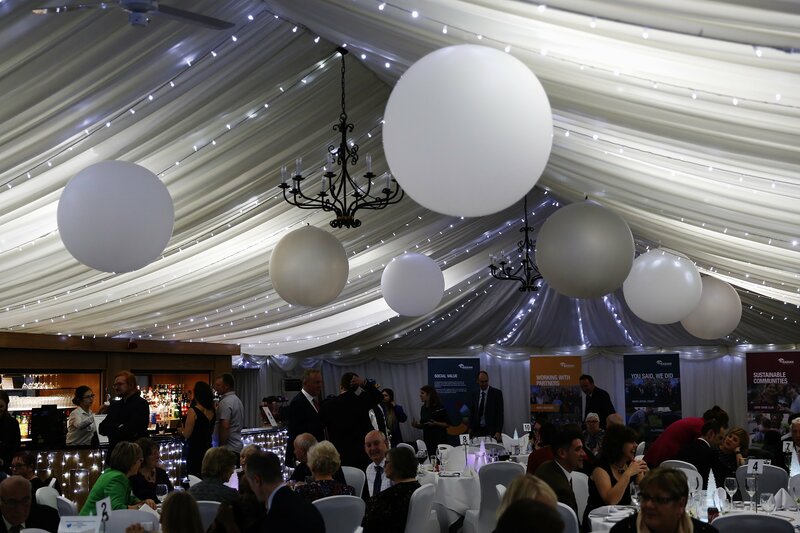 The night was a perfect way to celebrate and raise awareness of the importance of these voluntary contributions that local residents make on a regular basis to other individuals and their communities. Guests arrived were entertained by Wessex Community Circus and Nigel Hoar, a local resident who captured the room with his singing. 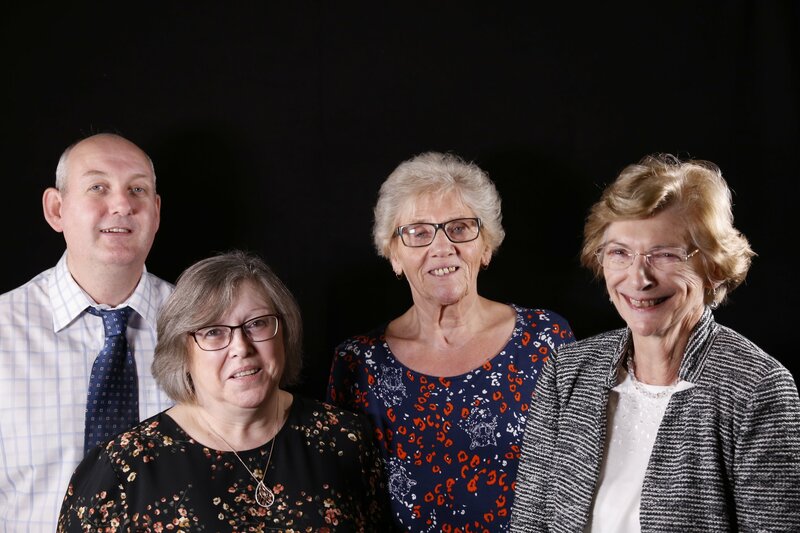 We are incredibly proud of every resident nominated for these awards, and all were incredibly deserving – it certainly was no easy task to pick a winner!